The soft, grey hues of this super comfy top will have you reaching for it time and time again! 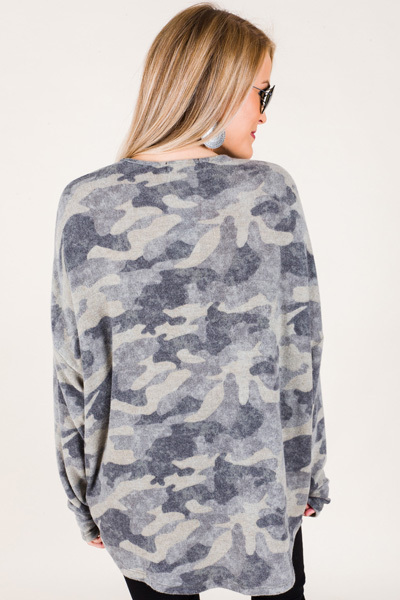 The brushed knit lets you know that it is going to be the coziest top in your closet, and the camo is right on trend. Dolman style sleeves for that slouchy fit, and a longer hemline perfect for leggings, but not too long for jeans. Fit is a bit roomy. Model is wearing a small.